Lemon GreenTea: Justice League will have midnight sneaks in selected cinemas nationwide on Thursday, November 16 at 12:01 AM. Justice League will have midnight sneaks in selected cinemas nationwide on Thursday, November 16 at 12:01 AM. 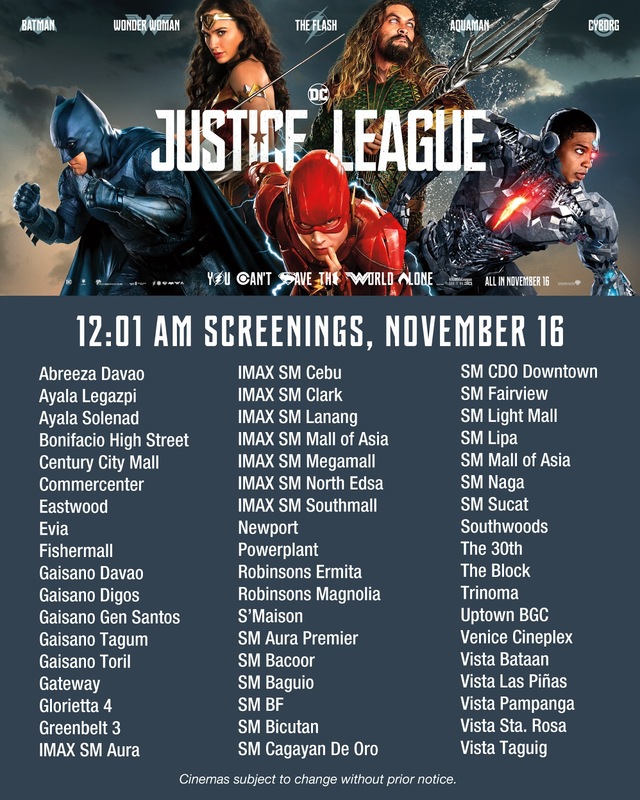 Filipino fans will get the chance to watch DC Super Heroes unite earlier than expected as Warner Bros. Philippines has announced that Justice League will have midnight sneaks in selected cinemas nationwide on Wednesday, November 16 at 12:01 AM. Local audiences are encouraged to grab this opportunity to be among the first in the world to witness the eagerly anticipated movie event. Tickets to the midnight screening will be at regular admission prices. The list of participating cinemas may be seen at the infographic below. Moviegoers may check with their favorite cinemas for more details. 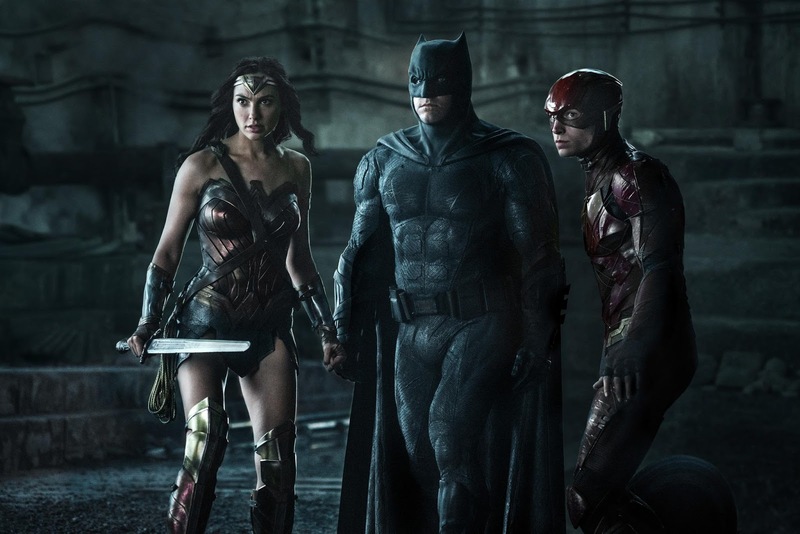 Labels: DC Super Heroes: Ben Affleck as Batman, Ezra Miller as The Flash, Gal Gadot as Wonder Woman, Henry Cavill as Superman, Jason Momoa as Aquaman, Justice League, Ray Fisher as Cyborg.